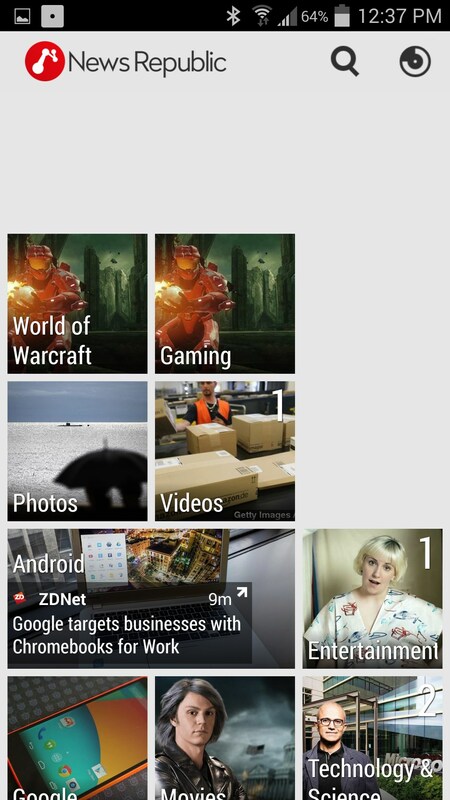 News Republic – Soft for Android 2018 – Free download. 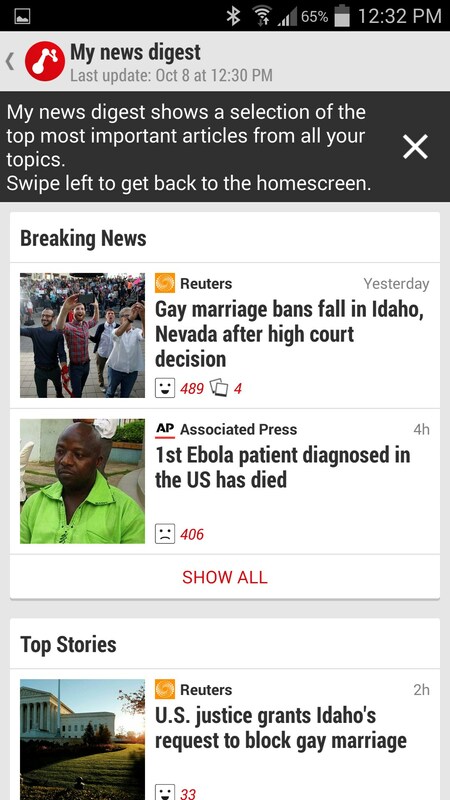 News Republic – Customizable and powerful news app. 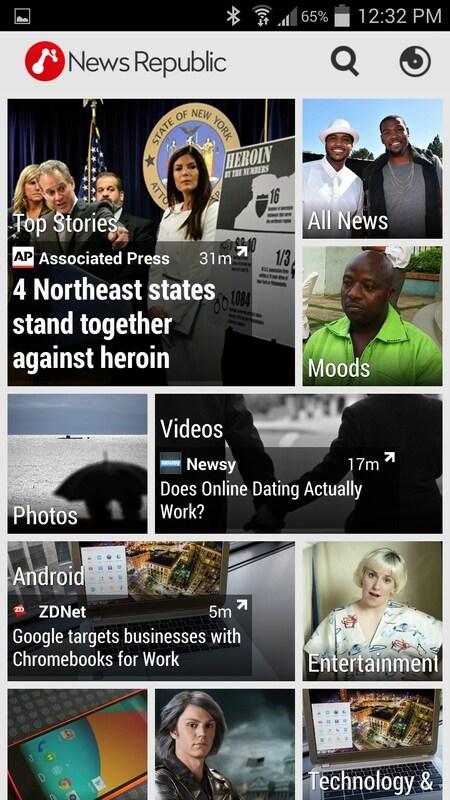 News Republic for Android is a new and innovative news platform that gives you creative power over your news feed. 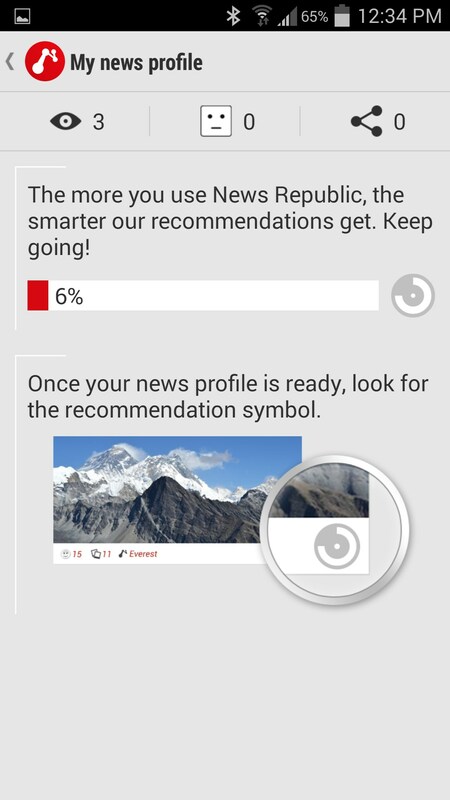 With News Republic you can customize everything about your feed including it’s layout, your new sources, and even the type of news you like. 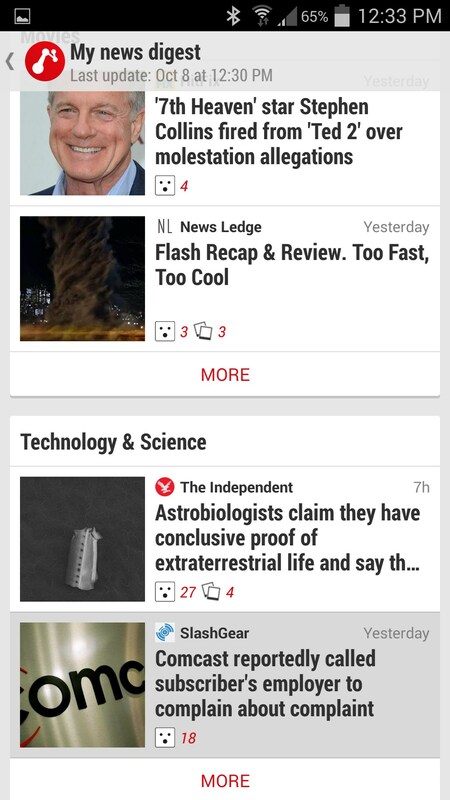 You can move your news sources (which are tiles that show a snippet of your information) around in a variety of ways by pinching and pulling to adjust the news source tile’s size and width (this also adjusts how much information you see, from a small thumbnail to even more information). After going through a pretty hefty tutorial, you are given full reigns of News Republic. 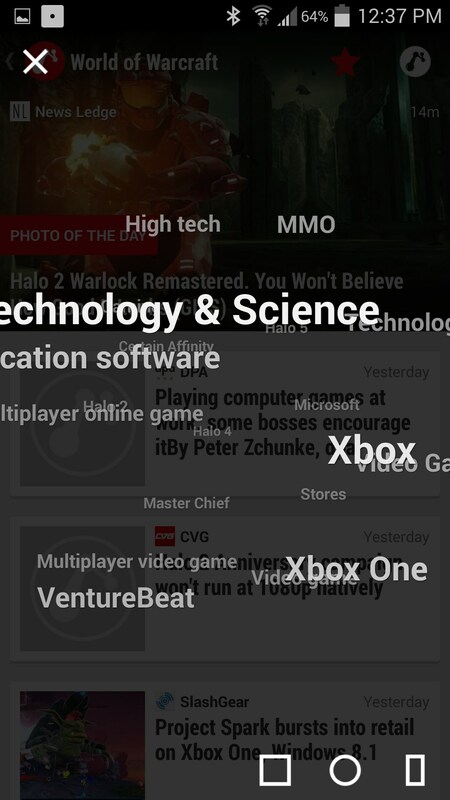 The app doesn’t really start to shine until you realize how great the interface is. Apps like FlipBoard are made primarily with it’s streamlined interface in mind, and content and its organization is sacrificed. News Republic turns that idea on it’s side and flips it over. No longer do you have sticky tiles and a cluttered news feed that can’t be configured. In this sense, I can say that News Republic is the best looking news reader because you can make it look how you want it with the sources you want. 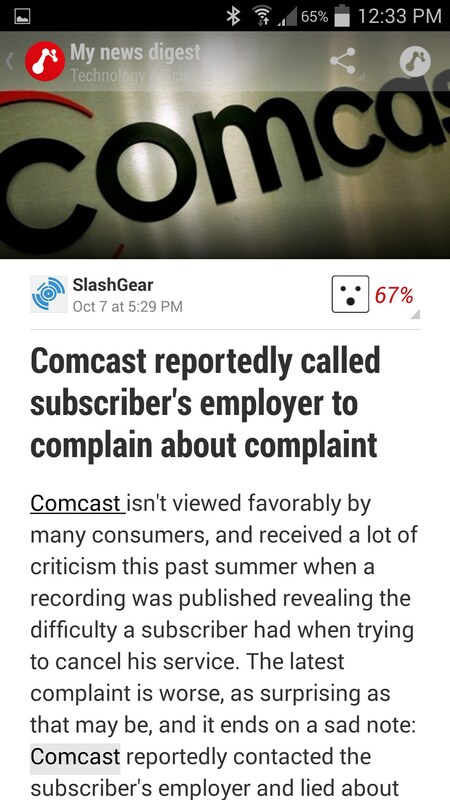 Now in terms of the actual news content, Republic does average. 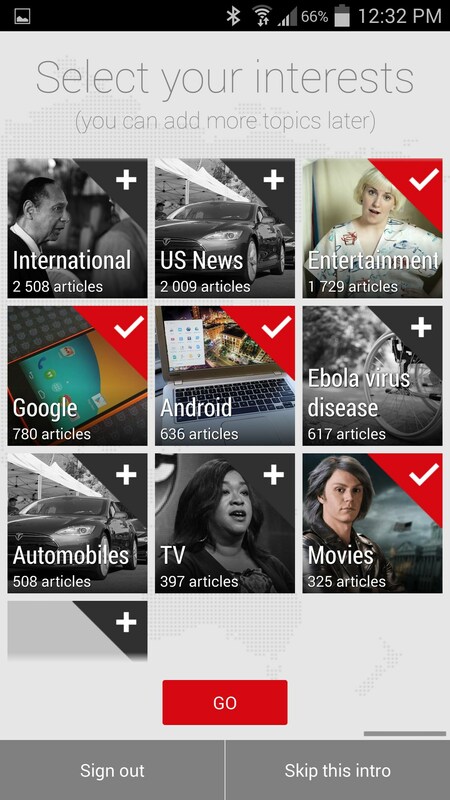 You can search a variety of categories, and it even has customization after you have been using it for awhile. 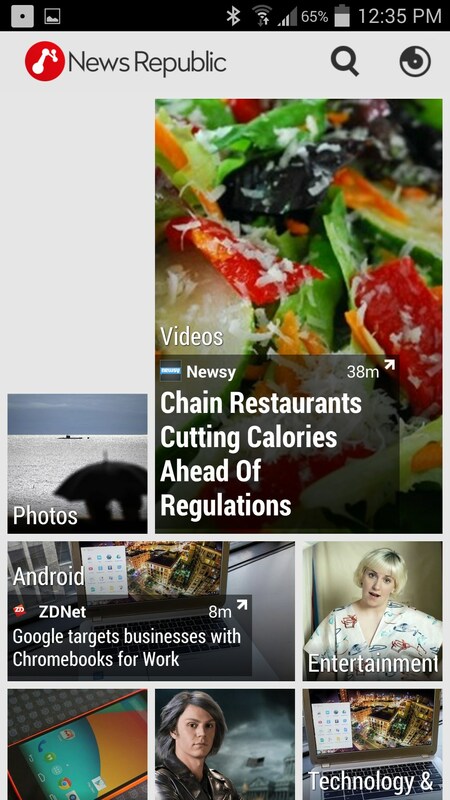 It reminds me of the successful but taken over app, Zite. 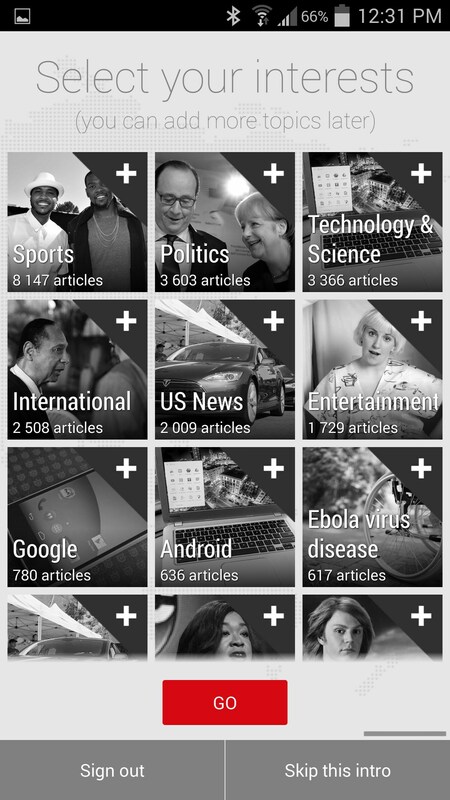 You can add virtually any category from popular games, to even specialty sports or popular topics like Ebola. One thing about this is you got to make sure to phrase your interests correctly or you could end up with less popular feeds. I wanted Gaming, so I entered gaming. But the more correct and populated feed was under Video Games. The actual tiles didn't always perform as well as I wanted and news often felt clipped and rushed. Under each tile and feed, the content is solid if not exceptionally organized. 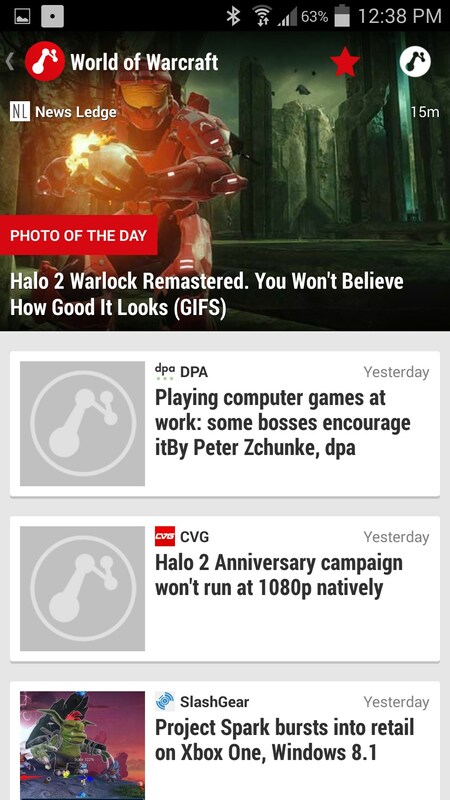 In my World of Warcraft feed I was getting some Halo news which was disappointing. I did find some specialty World of Warcraft news within that category, which I didn’t find in just the general Video Games tab. News Republic is now my primary source of news because of it’s innovative and customizable good looks, and for its ability to make a variety of different news feeds.